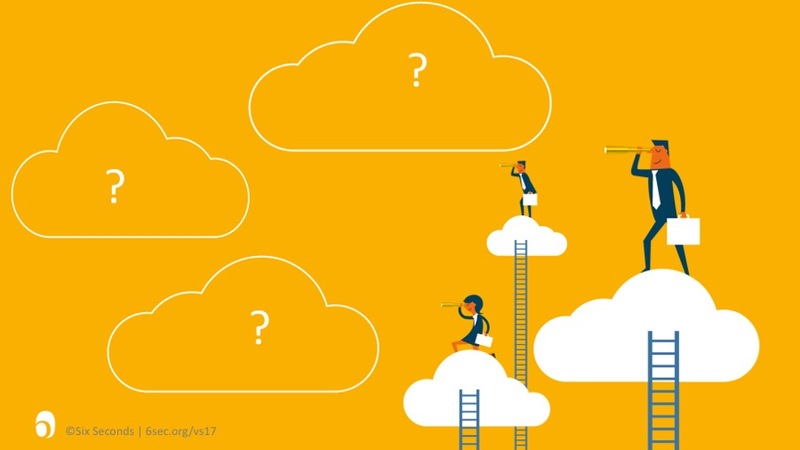 In the recent VITALITY REPORT we learned how one of the top issues blocking organizational performance is that stress is rampant, fueling disconnection and reactivity. How can emotional intelligence help? 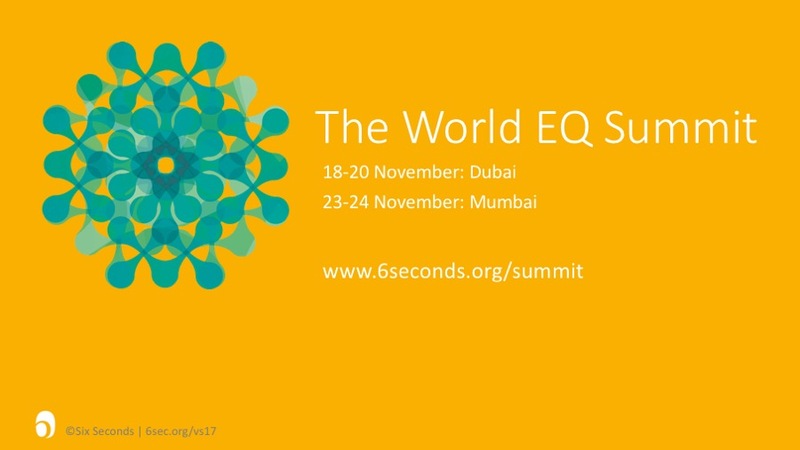 Experts from the upcoming World EQ Summit share insights on applying the science and practice of emotional intelligence in transforming stress with resilience. Jayne Morrison: Today we’ll be discussing some of the issues that were highlighted in our recent Vitality 2017 Report – and will be presented on at the 2017 World EQ Summits in Dubai and Mumbai. We used our semantic analysis software and identified key themes. One of the big issues seems to be stress. A lot of people talked about the fact that people have not enough resources, not enough time and too much to do. The organizations have been cut to the bone. People are burnt out or feeling close to burnout. There’s just so much that people are grappling with, and of course, this matches other research on global trends of increasing stress. Jayne: Today our focus is on stress and how to transform this to resilience. With us are three speakers from The World EQ Summit. They’re all experts in this field, with lots of knowledge and practical experience. So how about if each of you introduce yourself by telling us who you are, and in just a couple of words, each, what is stress? Robin, can we start with you? Robin Hills: I am an emotional intelligence trainer & facilitator working with a company called EI4Change. Joshua: Lara what does stress mean for you? Lara Williams: I’m Lara Williams, of Momentum4, a UK partner with Six Seconds. Stress is an overused word and has become accepted by people as something that’s “ok.” I agree with Robin that a certain amount of stress is good. 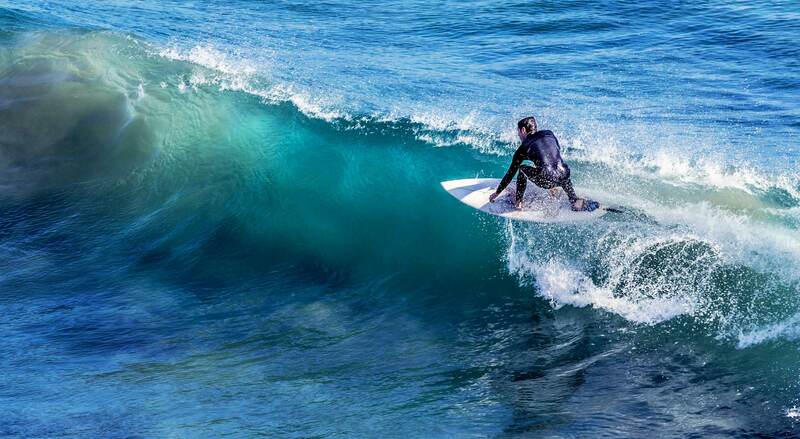 To perform in sport, for example, you need stress. I choose the word pressure rather than stress because I think it’s too acceptable in society nowadays to be stressed. To me it means that you’re not coping, that the things in your life that you enjoy have gone out the window. Joshua: Chantel, let’s hear from you. What is it? Chantel Samanek: Hi, I’m Chantel. I’m representing Dynamic Learning, a Six Seconds’ Preferred Partner in the Middle East. As Robin said, stress is when you feel that you cannot cope with the demands that are put on you. There’s a difference between acute stress and chronic stress. Acute stress is okay. It’s that positive stress, I’m getting married so I’m excited now, I’m going to be on a webinar, they’ll get to see me and watch me. It’s turning on the cortisol and turning the cortisol off. That’s good. But when it becomes chronic, it becomes a disease or epidemic that we are referring to right now. Joshua: Research says stress is going up. A new study recently said that for the first time, adolescents have higher stress than adults. I love Kelly McGonigal’s definition of stress, that our perceived resources are smaller than our perceived problem. It’s maybe shorthand for a whole bunch of feelings, so maybe we should talk about that a little bit. 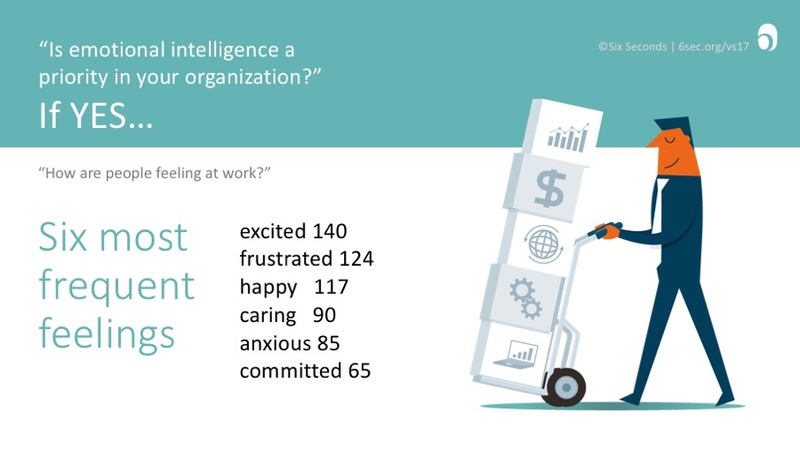 Jayne: In the Vitality report, we asked people, “What are people feeling at work?” We also asked, “Is emotional intelligence a priority in your organization?” For those who said “no” to the latter, these showed up as the six most frequent feelings. If this is true, what do you notice about these feelings? Lara? Lara: Firstly, that there’s a lot of frustrated people out there. It could be that frustration of feeling overwhelmed. Or frustration from not being listened to, not being given enough work, being bored. Seeing anxious in that list is quite worrying, that we’ve got the second highest number of people who are anxious at work. Together, frustrated and anxious are a big concern. Lara: And this would be true in the current economic climate. Teams have shrunk. Some people are doing a three-man job and, therefore, feeling that they’re out of control. And they’re worried about their future because of what’s going on in the world. It’s a much wider problem than just going to work. It’s when you go home, that anxiety and that frustration then creep into the family life as well. Yes, we need to do something. Jayne: Robin, do you want to give us your thoughts as we look at this list here? Robin: Yes, as I look at this list, I’m really interested to see happiness in there. Because my first and immediate response is that there is a list of emotions which people would put a label “negative” on there. Now, I don’t agree with labels going on emotions. Emotions are emotions. I think the interesting thing is, the question that needs to be asked is, okay, you have this emotion, what is it telling you? What is the hidden message behind this emotion? And more importantly, as an individual, how are you going to work with this emotion? Because this is your emotion. You can label it in whatever way you like, but it’s your responsibility as an individual to get the most out of your own life and use this emotion in the most appropriate way. Joshua: Or they perceive they’re not being listened to. Robin: I think perception is a fundamental part of all of this. Part of what we need to do when we’re working with people in the field of emotional intelligence, is help them to understand what it is that they perceive… and what to do with that perception. Jayne: I’m reflecting on the list of feelings as you’re both speaking. Robin, as you very rightly say, a lot of people would look at and say, “Oh, gosh, these are lot of negative emotions, bad emotions.” However, are they a cause or result of the general stressed environment people are finding themselves in? Chantel, what do you think? Chantel: If we look at frustration, what is frustration? When do I get frustrated? Sometimes it’s because there are obstacles within me, or outside, to attaining my goal. It could be a poor manager or a sick child. But I’ve set a goal… then encounter obstacles and feel frustrated. Alternatively, there’s no clear articulated goal. I’m working every day, but I’m not walking towards anything, that can also cause frustration. That’s quite evident in today’s environment, and I think the business and corporate environment. Things are changing so rapidly, the goal posts are moving constantly and nobody is clear about the goals. This is where resilience, is very, very important as it allows people to adapt to all these ongoing changes, or being able to work without having a clear goal. Maybe having a Noble Goal, a bigger purpose, is enough to move forward and not be frustrated by short-term issues. Joshua: Frustration is probably is a form of anger and basic message of anger is, I want to move forward but there is something in my way. Frustration is little more generalized form of that anger. Chantel: I think anger grows out of frustration and, for some people, becomes a physical thing. There is the passive aggressive or some people are actively aggressive. I think frustration is only the starting point. Joshua: So something is in my way. It could be internal, it could be external. It could be this unclarity, it could be the manager, it could be the context, but there is something in my way. Anxiety is related to fear which means something that I care about is at risk. If we put those two things together, like something I care about is at risk and I can’t move forward in the way that I want. There’s something blocking me, maybe blocking me from dealing with what I care about. That’s painful. Joshua: In the chat, Dr Manjushree has typed, it sounds a like helplessness when we feel frustrated and afraid. Lara: I think that’s very true. In my experience you have quite a lot of victim-type behavior where people are not taking any responsibility and they feel that they don’t have choice. That sense of helplessness is caused by that frustration. Joshua: I was talking to a team of engineers recently about optimism which is closely related to our topic today. I asked them to consider to what degree do they have a choice? They were perceiving, “No, I have no choice. There’s nothing I can do to make the situation better.” Interestingly, one of them admitted that maybe this was because they’re engineers, we don’t see choices that we don’t believe will work. So then pessimism and realism get really intermingled. Jayne: If we flip the coin and we look at organizations where people were saying that, “Hey, emotional intelligence is a priority. How do people feel there?” They’re still frustrated but what else do we see? Chantel, what are the emotions you’re seeing now? Chantel: I like the excited emotion. It’s connected to seeing possibilities. When people are excited they open themselves up. And that allows for innovation. Lara: I think that’s absolutely spot on. If we link this to purpose as you mentioned earlier, the excitement may be coming because of that sense of purpose, going to work and actually feeling a part of something. If they’re really developing that emotional intelligence organizationally, then my sense is that people want to go to work. They feel excited. The frustrations will still be there in some respects, maybe as a line manager, but over and above that, the excitement is that sense of purpose which drives people. In the list, happiness has gone up. Committed is in there too, which links into that sense of purpose. Anxiety has gone down, but it’s still quite a high number, which is interesting. But what I’m feeling in this list, is a sense of life. Some emotions energize us to move forward. Others tell us to hold back. They all can be valuable. Jayne: What you’re saying here, Lara, is really interesting. I love the way you’ve phrased it, “I’m feeling a sense of life.” When I look at these in relation to stress, I’m seeing energy that is moving me forward with the care and the commitment and the excitement. I still feel frustrated. I still feel a little bit anxious, but those other feelings are bringing energy into it. I am feeling stressed, but it’s more eustress than distress. Remember the purpose of emotion is to focus our attention. So here I’m focusing my attention with a positive frame of reference, positive perception whereas if we think about the other list of emotions, my perception of reality was that things are “bad”, that I don’t have choice. Do Emotions Actually Matter at Work? Joshua: Robin, I’m sure you face this often. In our work, people sometimes say, “Okay, yes, emotions, that’s so nice and interesting.” But does it really matter? At the end of the day, you’re paid to come to work. I don’t really care if you’re happy, you’re frustrated, whatever, get the job done. Robin: Indeed. That brings it back to the individual’s responsibility to work in their own environment in the most appropriate way. However, that’s a very mature way of looking at it. People really don’t want to take responsibility for their own emotions, the inconvenience that you were talking about. They have a choice. If they choose to be engineers, if they choose to work within the organization. Now, a lot of their life choices are forcing them to go to work and do the job that they’re doing. They have a choice. They don’t have to go to work. They don’t have to do the job of an engineer. They don’t have to work for that organization. They can just pack it all in and go around the world. Each of those choices have consequences. The consequences then are important to consider so people just can’t pack it in and go travelling around the world because there are going to be consequences. They’ve got a mortgage, they’ve got a family, they’ve got other things that they need to be doing in their lives. All of these are part of managing stress and all of these are part of managing resilience. Robin: Yes, and I think we should have some anger and some of the other emotions. I think we’ve just got to be clear about the fact that when we get these emotions, it’s our choice how to manage them. You’re very familiar with the statement that Aristotle said, anyone can become angry, that bit is easy, but to be angry with the right person in the right way at right time etc., that’s not easy. If I get angry, what I’m going to do with it? I’m going to act like a blunderbuss and hit everybody and everything with my anger? Or am I going to go in with a laser sharp vision and deal with the issue using my anger as a motivator and then move away from it without having guilt? What is the Strategic Value of Emotions? Joshua: One of the things we talked about earlier is that emotions are not good or bad. They’re there for a reason. Robin is talking about it in an individual level. Jayne, you have worked a lot with senior leaders, thinking about a whole organization and being strategic about this. If we think about emotions as a form of capital, emotional capital, what happens? Jayne: Absolutely. Josh, we all know that emotions are contagious and they ripple down through an organization. Our research in the recent Vitality 2017 report shows that mood really matters. Organizations are 26 times more likely to have high trust if there is positive emotional valence (or mood) in an organization and 16 times more likely to lose people in a negative environment, that is huge. Stress therefore has a huge impact on the mood in organizations. Joshua: Chantel, sell us on the notion that we should be strategic about emotions. Chantel: The Middle East is an interesting environment to work in because often people have short-term goals. I like to use the Six Seconds Emotional Intelligence (SEI) assessment and give them the numbers because that’s how they work. We usually do the 360, where you get feedback from others around you. Classically, it’s your supervisors, your colleagues, your direct reports, but in the SEI 360, it can be a wide variety. Jayne: One of the Outcomes that we are able to measure from the SEI is Wellbeing, both physical health and mental balance. In the Middle East, as we saw from the State of the Heart report in 2016, wellbeing is very low. Chantel, from the work that you do with leaders in this region, do you see this? Chantel: That’s where I “hit” them. I just look like at them and go, “Aha.” Then a second moment of realisation comes when we talk about, Noble Goals, and I ask, “What is your legacy? What are you going to leave behind?” Then I start pulling in their children. For example, you’ve got a 22-year-old daughter who’s studying now. If she had to come to work for your organization, what would she say? This is legacy, this is what you leave behind. Then you can start digging deeper, and as we work on the individual level, they develop their self-awareness and ask, “But how am I going to do this?” Excitement builds, “Yes I want to make a change.” But then reality strikes and frustration comes into play when you look at the systems and processes that the organizations have in place. They’re not aligning with what the vision is. Jayne: We see that frequently, Chantel, when we combine using SEI with the Vital Signs tools. We’re able to identify the organizational climate or the team climate. I remember coming to one of your presentations with a client and actually seeing you point out how that area of execution was being disabled by all the bureaucratic systems and processes that are the source of huge stress. This then also shows up in the people’s SEI reports. Lara: It’s all about language, isn’t it? 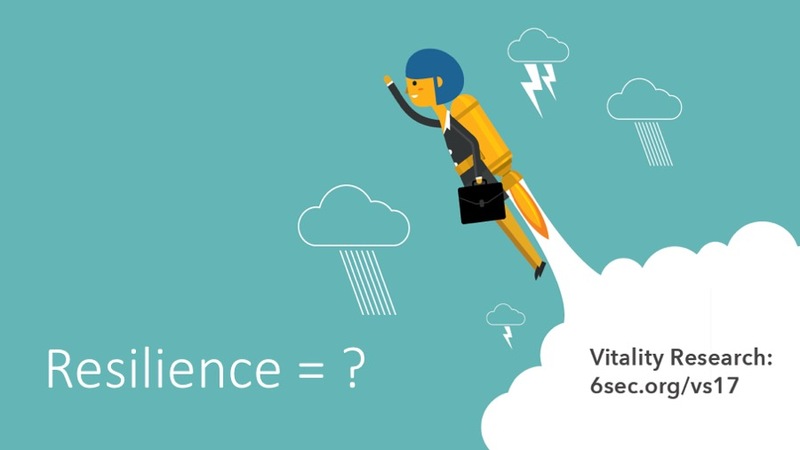 Do you actually use the word emotional intelligence with corporates, or not? However, what you’re doing is you’re giving them the emotional intelligence. Interestingly, I sat on a train yesterday coming up to Warrington and had a phone call from a CEO, of an engineering company. Very frustrated. He’s been given a team of leaders who have come from all sorts of backgrounds, who are demonstrating all sorts of different emotions. Interestingly, he was talking at the emotional level, which I’m finding more often with the clients I’m dealing with. Organizational leaders may not realize that they are using words like frustrated, anxious, stressed. How do we get people to be more resilient? How do we ensure the wellbeing of our workforce? He wants to meet with me on Monday and the conversation that I had with him was around ensuring that he has a resilient team. We would look at doing some diagnostics like Chantel. I think it’s great, especially for engineers. They like that data, and so I would probably be going in using the Vital signs and so we can start by assessing the climate. I think that’s really key. Then maybe some leadership diagnostics as well, on a one-to-one basis, that gives you the platform to then say, “Well look here, this is where you’re at.” You give them data… then you can develop the right program moving forward. We can use a stagecoach metaphor to describe the four pillars of resilience: The horses are your emotions, the driver is your cognitive thought, your thinking process, the carriage is your physical well-being, and the passengers are your purpose. If one of those is out of sync, what happens? If the horses are racing off and the driver can’t control them, then you’re probably not going to be very successful. If you’ve only got three wheels on the carriage and your physicality is not right so your well-being is not taken care of, again, you are not going to be able to perform at your best. Likewise, if there’s no cargo on board the stagecoach or there’s no one in the stagecoach, where are you going? What’s your purpose? People really get that. Often the response is, “Well actually you’re right, Lara. We don’t have any cargo at the moment. We’re just too busy trying to control the horses.” I think to talk to clients about climate and mood is very acceptable right now because there’s a lot of mood out there. Joshua: Yes, there’s a lot of struggle. That’s the good news of this bad news that we’re seeing in this data, right? What I just want to summarize here is what we’re trying to do is connect the dots, whether it’s for an individual or organization, between people, productivity and results. Jayne: Talking of dots, let us move from this stress dot, to the next dot which is how to transform it. So, Robin, what is resilience? Robin: Resilience is really, really interesting because it’s a word that’s bandied around so much, and I think people have different individual definitions of it. The meaning of resilience, for when something’s gone wrong and something carries on, something or somebody carries on, they’ve got resilience. Well, have they? They’re just carrying on with life. Joshua: Carry on, carrying on. Is that enough? Robin: What’s the alternative? You go into the corner and sit and stop and dissolving technology. For me, Josh, there are three components. The first is an acceptance of reality, it’s an optimistic acceptance of reality. Second, it’s having a noble purpose, a Noble Goal, knowing what it is that you’re here to do. Third it’s using creativity to make the best of the situation that you find yourself in. That kind of definition works for me at all levels. It works for me at individual level, at organizational level. It works for people who are in war zones or who are in concentration camps, where resilience is absolutely fundamental. It’s those three components. Optimistic reality, a clear focus on what is right, a Noble Goal, and having creativity to improvise to make the most of the situation. Joshua: I think this piece about not denying reality is so interesting. There’s a Buddhist saying, “Suffering comes from denying what is.” We increase suffering by saying, “Oh, but it’s not this. It’s not this bad let’s pretend it’s something different.” And then it keeps coming, smacking us in the face saying, “Yes, yes, it is.” But even when things are really quite bad, there’s something interesting about just acknowledging that. “Yes. We’re suffering or we’re facing a real adversity.” It’s really hard. Jayne: That goes back to one of the basic tips that we can give people in moving out a stress. Name the emotion. Validate it. Recognize that you are feeling stressed, and then to move on and take action. Name it to tame it: state the state you’re in, validate it and then deal with it. Of course we can’t control everything in life but we can choose how we react to it. Lara: Looking at some of the comments, the definition of resilience is the ability to bounce back, but actually you took the words out of my mouth, Jayne, is acknowledging those emotions. I think it’s really important to label the emotion, to accept it. Like Robin said that realistic optimism as opposed to unrealistic optimism. So, you’re fully aware of your situation, and you’re looking at what choices you have. And I think that’s the difference between a victim type behavior and someone who is resilient, the ability to focus on what they can do. The ability to put their head above the parapet and say, “Yes, actually I am suffering. Things are pretty cracked around here at the moment. What can I do about it? How can I get back into feeling like me again? What do I need to do to take care of me?” I think those four pillars of resilience, that’s where they come in. The physical aspect. If I’m not sleeping, I’m not going to be in my optimal zone. I’m not going to be as resilient as I possibly can be. Likewise, if I’m eating a very unhealthy diet and I’m drinking a lot of alcohol, or I’m drinking a lot of caffeine, then it could be that I’m putting my body under a lot of stress, so therefore I’m going to feel different emotions because of my physicality. Also, why do you get out of bed in the morning, if people haven’t got that sense of drive and that pursuing noble goal, what Robin mentioned, then again, that lack of purpose can ensure people are not working in their optimal zone which is where they are most resilient. They’re feeling good and mentally in tune and they can deal with life and what’s thrown at them including kindergarten children, Lize. How Does Purpose Transform Stress? Jayne: What’s really so interesting to me is that in talking about stress, you’ve all mentioned how important it is to have a clear sense of purpose. How it supports us in stress. It’s a key part of being resilient. In the Six Seconds’ model, we talk about Pursuing Noble Goals – having clear sense of purpose – as being the key that activates the whole model. And what I’m hearing here, is that it’s key to moving from stress to resilience. Joshua: When we look at our little picture here of a woman with a rocket. Where is she going? Part of getting that energy to move is having that clarity. By the way, if you’re a leader and you don’t have that sense of direction, it’s going to be awfully hard to get people to come with you. Jayne: There’s a wonderful saying by someone, I can’t remember who is it but it’s about what are you busy about? Because so are the ants. I often think about that because just running round and round, being busy like an ant, can be hugely stressful especially if I don’t know where my ant hill is and what direction I need to go to. It creates so much anxiety and fear. Lize: In the chat there’s a lot about resilience being the ability to bounce. However, I think what we are saying is that it’s okay to bounce, but you have to bounce in a direction. Bouncing up and down, hitting your head against the wall is not going to get you anywhere. It’s the bouncing in some kind of direction. That is resilience. Joshua: One of the great things about stress is it says to us, “Hey, pay attention. Something’s going on here. Maybe you need to change. Maybe you need a new strategy.” In Kelly McGonigal’s book, The Upside of Stress, she talks about one of the neurohormones that is secreted when we are stressed is oxytocin. Oxytocin, we know, is a neurohormone of trust. It’s a neurohormone of connection. So, panelists, why would we have oxytocin as part of our stress reaction? Chantel: This is the irony of stress. Stress kidnaps you. It diverts you from the things that you actually need. I think the oxytocin is going, “Come on you need a hug, you need a hug.” It’s fighting against the other neurohormone of stress, cortisol, but the cortisol is winning. We’ve been mentioning things like acknowledge the emotion, okay I’m feeling stressed, just stay there, stay there for a bit, ask the emotion what information it has for you. Don’t just acknowledge it and then try to jump in a direction whichever you think you need to go into. That stress has got information for you, it wants to tell you something. If you just go, “I’m stressed,” okay, I’m stressed I can understand where it comes from, move on. You’re not dealing with the emotion, you’re not using stress as a resource. Jayne: The question is, where are you bouncing to? As Lize mentioned from the chat, if we keep on bouncing, we may just keep on hitting our head if we don’t know where we going. I thought what a great metaphor that was. If we keep on doing that and we keep on hitting our heads, it’s going to hurt, we’re going to have pain and it’s going to really impact our both physical health and our mental balance – factors that show up in the SEI. So when it comes to resilience, we need to bounce with direction. Joshua: Lara, how else do we get the benefit of stress? Lara: I’ll share an example with my 11-year old daughter who started secondary school three weeks ago. This was quite stressful, not for her, but for us as parents! It was a big shift, as she now has to get up at 6:30am, walk to the bus stop, get the bus and travel half an hour to go to a new huge, big school. One day she didn’t come back on the bus. Instead she went into town and lied to us about where she was. Whilst this caused a lot of stress and anxiety, the oxytocin meant that, as her Mum, all I really wanted to do was to hug her. But actually actually the other stress hormones took over. The way that my husband and I dealt with it, was not the right way the first time. We had to take a step back. We looked at what was going on for us as parents, and actually how did we want this relationship with Chloe to continue. Once we found that path, then we were able to actually sit down with her and talk to her about trust, because obviously that trust had been broken. Joshua: Big feelings are a signal of something big going on, and it sounds like the message of emotions gave you an opportunity to redirect the situation with your daughter. 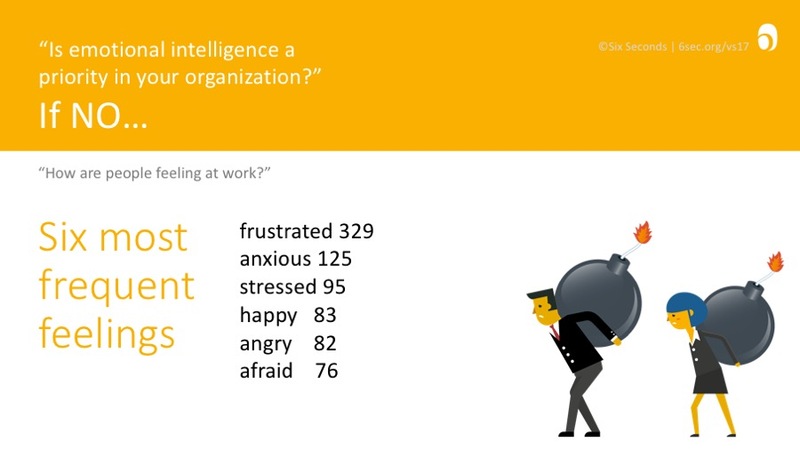 How Does Emotional Intelligence Help Leaders Cope with Stress? Jayne: So how can we use science and the practice of emotional intelligence to support the leaders that we work with, and the people in our network to deal with rampant stress. Robin, do you want to share some of the advice based on your expertise? Robin: Most definitely, I think one of the interesting things that comes out for me around the idea of resilience, is resilience itself is a metaphor, we’ve taken it from material science. If I can take you back to your teenage years in science lessons where we were putting weights on straight springs and bits of elastic and we were measuring stress over strain Young’s Modulus, that is resilience. We’re now taking that concept and applying it to humans and applying it to human behavior and applying it to emotions. However, springs and bits of elastic do not learn from situations. So I think the metaphor needs to change. We’re in a new phase, taking resilience to a different level. We need to apply Professor Taleb’s definition of antifragility, where one is learning learning from the environments as one moves forward. I think with the resilience these transforming emotions will help us as we move forward to pursue our Noble Goals realistically in the situation that we find ourselves in. We can then look at ways in which we can creatively move forward to enjoy the situations that we find ourselves in whether we like it or not. That for me is where transforming emotions, where resilience to where managing stress all come together. Remember if stress is not enough resources for the problem, perceived problem, perceived resources, well actually our emotions can become resources. That’s just so beautiful, we’ve so many emotions what if they all were resources that we could utilize. Jayne: One of the great questions Lize asks is, “What’s the feeling beneath that feeling?” If we think about stress, underneath it I might be feeling frustrated about something that is really important to me and I really care about that. In helping me move out of frustration and move out of stress to be more resilient, it might be that I choose to focus on being caring. I ask myself, “How can this move me towards my Noble Goal.” I think having questions like that up your sleeve in times of stress are really helpful. Joshua: That requires moving out of self judgment or judgment of others for their feelings. That’s why Jayne and I, keep harping on this notion, let’s not talk about negative and positive, Robin said the same thing: Treat emotions as data. Jayne: So we’ve only got 4 minutes left. So what’s one key point you’ll be sharing around this topic during your sessions at the Summit? Lara: From my perspective, it’s about performance. For me, it’s selling the idea to my clients around building a resilient team and workforce by introducing emotional intelligence will only enhance performance and happiness, your sense of purpose, everything that we’ve defined resilience really today without going through all of that again. For me, it’s taking a team from A, where they are at this level, to B, where they are increasing their performance and they’re working much more effectively and efficiently. That is what I’m going to be sharing at the summit. Joshua: You’ll be sharing a very practical case study that’s really interesting. You learned a lot about the conditions for performance. I think that’s a really important point. It’s not just how do we get a performance up, but how we set up a context in which performance can flourish. I think that would really valuable at the Summit. Chantel: I’ll be focusing on emotionally intelligent teams at the Summit. Come and join me on my workshop to find out more. The question is, how do emotionally intelligent teams deal with stress and frustration? How do they manage it so that it doesn’t have a negative impact on their performance? Robin: I’m going to be helping people to explore resilience at an individual level. When I’m at my most resilient, I am like what? Joshua: I just want to put in a plug for the Summit. Even if you’re not sure that you can travel to Mumbai or Dubai for this, we really encourage you to look at this incredible lineup. This is a special thing that’s happening every few years. People from our community get together and share these cases. I love just seeing the agenda. The level of what we’re seeing in terms of implementation, these are not just abstract ideas. This work is changing people’s lives in organizations, in schools, in communities. I feel so much gratitude and inspiration seeing the work that people are doing in our community to really bring this forward in powerful ways. Jayne: Josh and I are both struggling with trying to decide what are we going to attend, because there’s just too much good stuff there. The fact is that this Summit is not just for L&D and HR people. It’s an ideal opportunity for a whole team to come, because being a Six Seconds’ event, the sessions are hugely practical. We want Lara to share ideas as to how to build a better organization, or Chantel with a team or Robin talking to people about developing resilience. Those are things that people throughout organization can learn, not just the HR manager or the L&D person. I’ve been saying to people, “Hey, just use the group rate and bring your whole team along. It would be an awesome two days of leadership training.” So I hope we’ll see some of you there. Finally I just want to say thank you, Lara and Robin, for getting up so early. And, Chantel for just getting through the school run and being online with us. Lize for manning the chat. And Josh for staying awake into the early wee hours. Because I know your head is on a different time zone. Joshua: I told Jayne I wasn’t going to stay for the whole thing. Jayne: But I knew you would because we were just such a cool group today. Joshua: And that’s a good point to end on. One of the greatest sources of resilience is our connections and support with people who we value and trust and have a shared commitment with. Jayne: We’ll be having these webinars every Wednesday over the next few weeks. We’ve got awesome people on them. If you’ve enjoyed today’s, which I know you have, please come back and join us next Wednesday. Guys, thank you all for joining us. And special thanks to Lara, Robin, and Chantel. Great conversation again. It took me hours to read through every single word and to feel the aspirations coming out from our EQ leaders. I particularly like the quotation of Henry David Thoreau – “It’s not enough to be busy, so are the ants. The question is, what are we busy about?” I shared this quotation to our EQ learning community in China, and people love it. One lady even help translate the sentence in a very poetic way – “辛劳不足惜，蝼蚁尚如此，无语问苍天，此生何为义”. It’s such great to feel the connection of supportive people with kind sharing and inner wisdom.